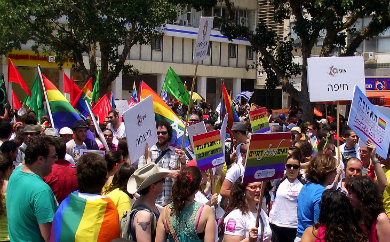 The Aguda – The Israeli National LGBT Task Force – was established in 1975. It’s the primary human rights organization in Israel that promotes the welfare and rights of the LGBT community. It strives for full equality and for the creation of a public and social climate of acceptance and respect. The LGBT population in the Arab sector of Israel is one of the most marginalized groups in Israel. For this reason, The Aguda set up a project aimed at reducing anti-gay violence among the Arab population in Israel and increase the awareness of LGBTs within the Arab community and help make them more accepted. Educational materials in Arabic were created, targeted at political and cultural leaders within the Arabic sector. Also, reach out activities were done towards social workers, educators, health professionals and local public figures with Arabic language materials and social media accounts.